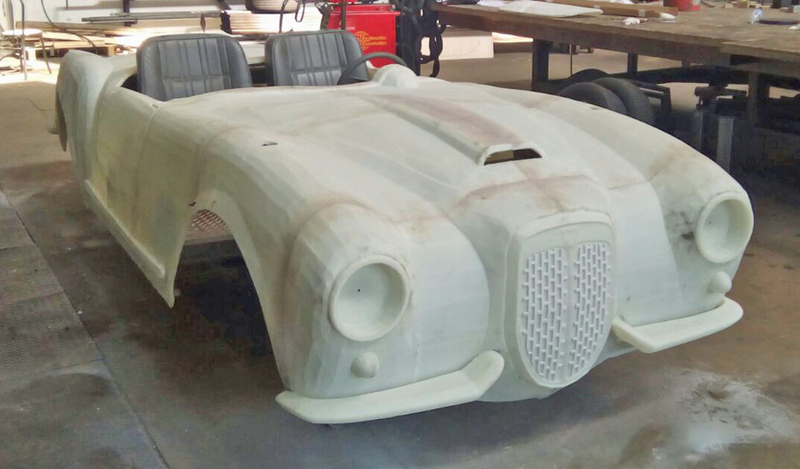 Italy-based print provider Colorzenith has 3D printed a life-size replica of the classic Italian car, Lancia B24 for the Don Pasquale opera, performed in Europe’s largest opera house, La Scala in Milan. The set designers, Davide Livermore together with GIÒ FORMA, required a lightweight car for an iconic scene where soprano Rosa Feola descends from the ceiling to the stage while sitting in the car. Reflecting the growing adoption of 3D printing solutions in scenic design, Colorzenith produced the car on its Massivit 1800 3D Printer. The 13.88 ft. long x 4.27 ft. high car was 3D printed in four parts in under four days. Using 3D printing Colorzenith could produce a lightweight car for an iconic scene where the soprano descends from the ceiling to the stage while sitting in the car. “Massivit 3D printing was the perfect solution to produce a lightweight replica of the car. Considering the tight production timeframe, it was impossible to realize this with another technology,” says Florian Boje, founder of GIÒ FORMA. The preceding press release was provided by a company unaffiliated with In-plant Graphics. The views expressed within do not directly reflect the thoughts or opinions of the staff of In-plant Graphics.